(NaturalNews) The proper diet is by far the most important aspect of health, healing, and detoxification, but in cases where damage is severe or you really just want to boost or speed up the process, supplements can help you detoxify. Supplements are not, and never will be, a substitute for the right diet. They are a supplementation to the right diet and nothing more. In fact, they don't work well with a poor diet. Niacin, charcoal, vitamin C, spirulina, chlorella, diatomaceous earth, edible earth clays, beneficial fats and other nutrients and herbs can radically accelerate the detoxification process when they accompany a healthy diet. Niacin, otherwise known as B3, is a very inexpensive way to boost the efficacy of a detox. You want the flush kind, not the "no flush." Doctors usually recommend starting with 100 mg, but up to 5,000 a day has been used for serious drug detoxification and other urgent detox needs (such as chemical poisoning). Don't take niacin for too long. Taking any one single B vitamin for a long time causes an imbalance or deficiency of other B vitamins. Long term, high dose use of B3 can also damage the liver. Take it in the morning. In 30 to 45 minutes when it kicks in, exercise or do the sauna. Try some hot tea. Drink lots of fluids (like the cranberry lemonade) and sweat out the toxins. Niacin won't do you much good if you aren't flushing out the junk while you do it. It's powerful. You'll be itchy, hot, and flushed red all over. Most people without a seriously damaged liver can easily handle 500 mg for a few days. The effects last about an hour. Food grade charcoal is derived from burning pure, untainted organic substances such as coconuts or certain woods without using toxic chemicals in the process. Charcoal forms a chemical bond with heavy metals and many other toxins and is easily flushed from the body. For vitamin C, spirulina, and chlorella, you can make your own nutrition formula or purchase a high quality powdered nutrition formula that contains these ingredients. If you're making your own (see below), make sure to use only clean, high-quality spirulina and chlorella and other ingredients. If you choose another multi-nutritional supplement, we highly recommend using a brand that is a nutrition powder made of ground, pure, nutritionally complete food with the enzymes still intact. 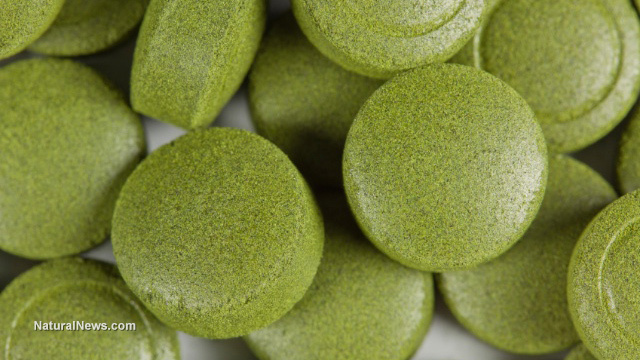 The chlorella and spirulina are not only amazing superfoods that chelate and detoxify the body, they are both highly bio-available proteins, and they have a synergistic effect with the other ingredients. Do make sure any chlorella or spirulina is from a trustworthy source. These ingredients, when coming from cheap sources, are known to contain contaminants. Epson salts and clay baths help to pull toxins from the body while they cleanse the skin and unclog pores to allow more toxins to flow out. Hot and cold hydrotherapy increases blood flow throughout the body. Hot water pushes and increased blood flow to the skin's surface while cold water drives the blood deep to the core. Alternating hot and cold water brings fresh blood with oxygen and nutrients to the organs and glands and carries away toxins and pathogens. Start with water as hot as you can stand for a minimum of two minutes. Then turn off the hot water for two minutes of cold—the colder the better. Alternate back and forth for a total of 20 minutes, ending with cold. For more information on detoxifying from vaccinations, including specific supplement recommendations and protocols, check out How To Detoxify and Heal From Vaccinations - For Adults and Children and see how you can make your own total nutrition formula here. Food Grade Hydrogen Peroxide. Tell everyone. It is the cure for Cancer, AIDS, COPD, Emphysema, parasites, funguses, all bacteria and viruses. Diatomaceous Earth. Why are we not telling people?